Experienced Brokers and/or Broker Trainees with transportation/dispatch experience please see our ad posted on LinkedIn and JobsInLogistics for more information. 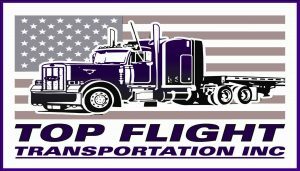 Since our inception in 1989, Top Flight Transportation, Inc. has been a very successful commodity transportation brokerage. We have significant experience with flats and vans, as well as excellent connections in the over-dimensional marketplace. We move full truckloads and LTL throughout the US and Canada. Our positive work environment, extremely competitive compensation plan, and solid benefits package make Top Flight a great place to work. We hold and maintain active files on thousands of carriers, utilize the most progressive web-based load posting and truck location services, have a top-notch back office support team, and possess an excellent credit history. We are pro-active in the marketplace and maintain a very fast electronic network to provide effective tools for our brokers. Located in Beaverton, Oregon, just a few miles from downtown Portland, we are approximately one hour from nearly year-round snow skiing to the East and the Pacific Ocean to the West. We have excellent outdoor recreational areas, a great public and private school network, and no sales tax. Portland and the surrounding areas are consistently mentioned as a great place to live and work. Top Flight is always interested in considering transportation brokers with a proven track record who want to be part of an exceptional team. If you are interested, please fill out the application found at the link below and mail, fax, or email the application and your resume today! Thank you! We look forward to hearing from you soon.